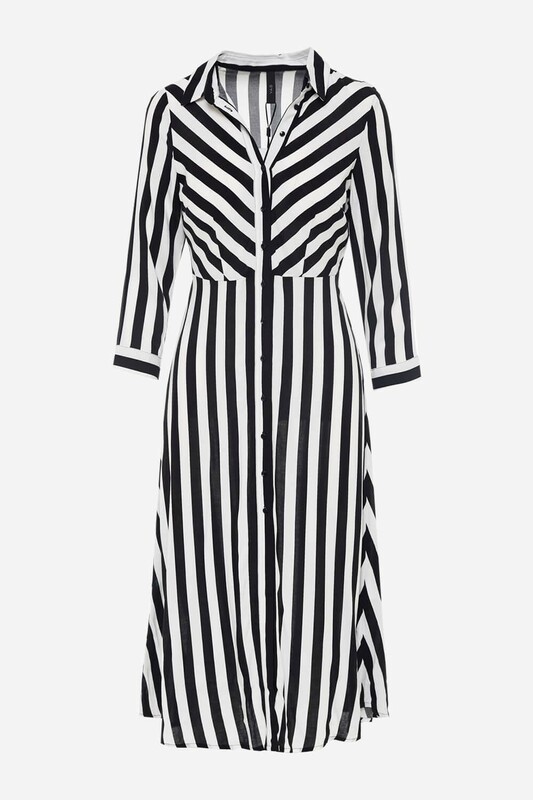 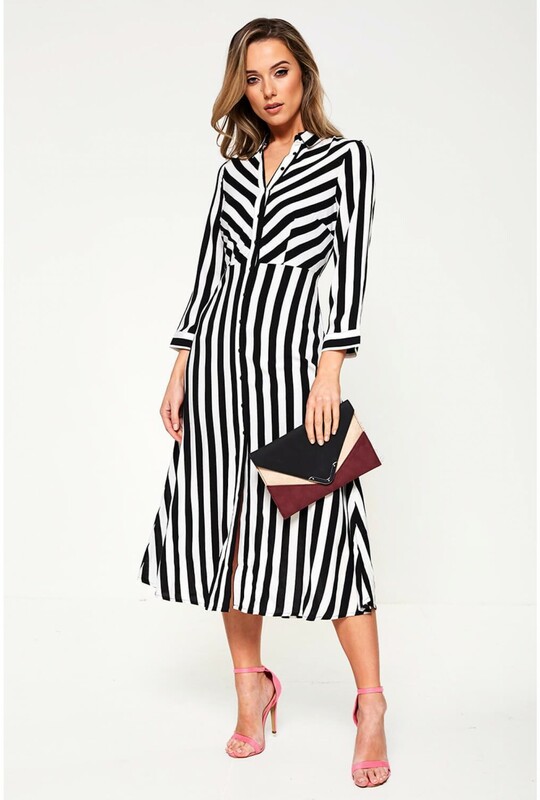 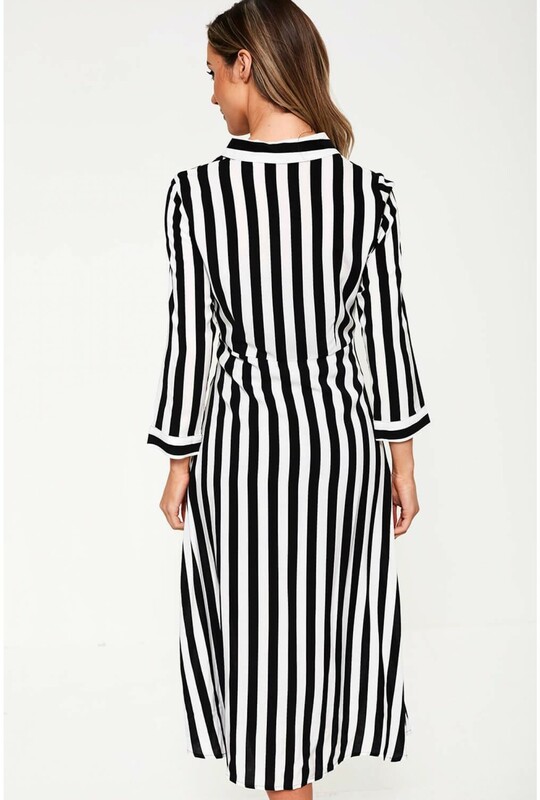 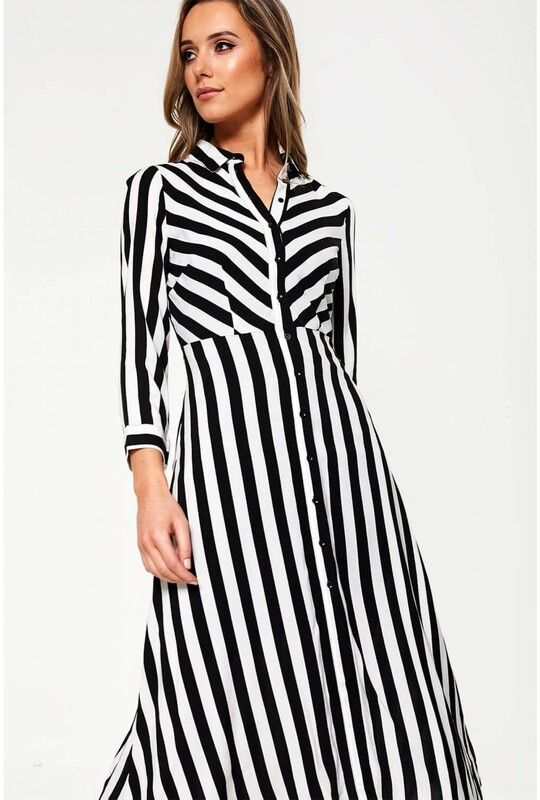 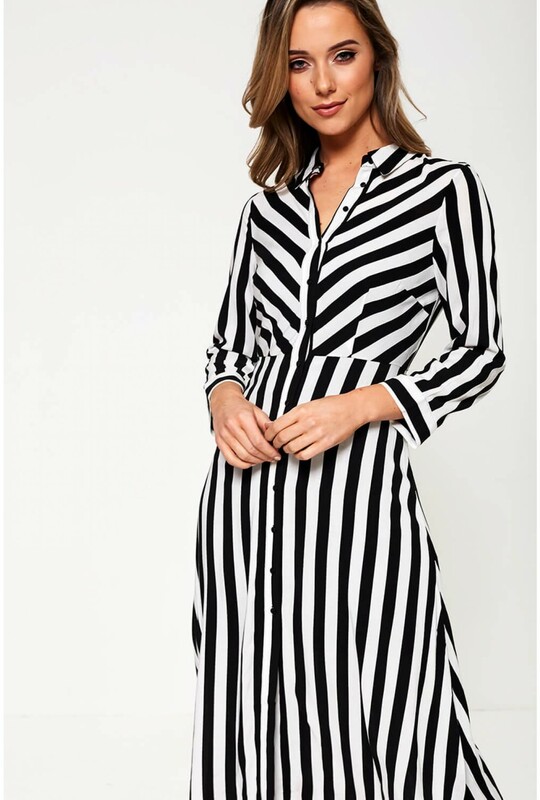 This midi shirt dress is given a contemporary edge with monochrome stripes. 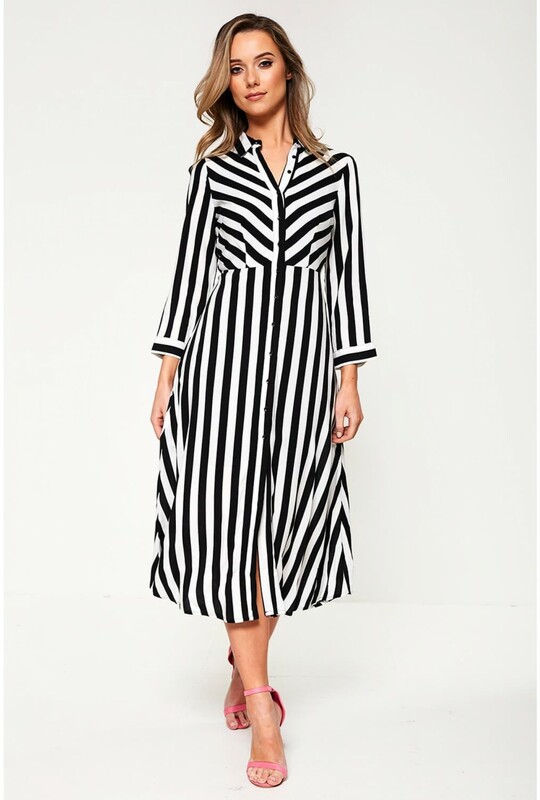 Featuring a button up front, fit long sleeves and a point collar. Team with black accessories.